Barber Pole Bling Necklace is a must-have for all barbers! 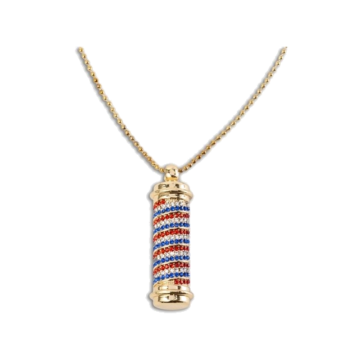 Made of gold-colored steel and featuring red and blue stones, the Barber Pole Bling Necklace is the perfect accessory for work or play. Show pride in your industry and let the world know you are a barber!